After a week of diverse natural sights, good restaurants, great beer at cool bars and breweries, our week in Wisconsin was drawing to a close. We left Sister Bay in Door County on Lake Michigan and headed back for a final day in Milwaukee before catching a flight back to Portland out of O’Hare Airport. 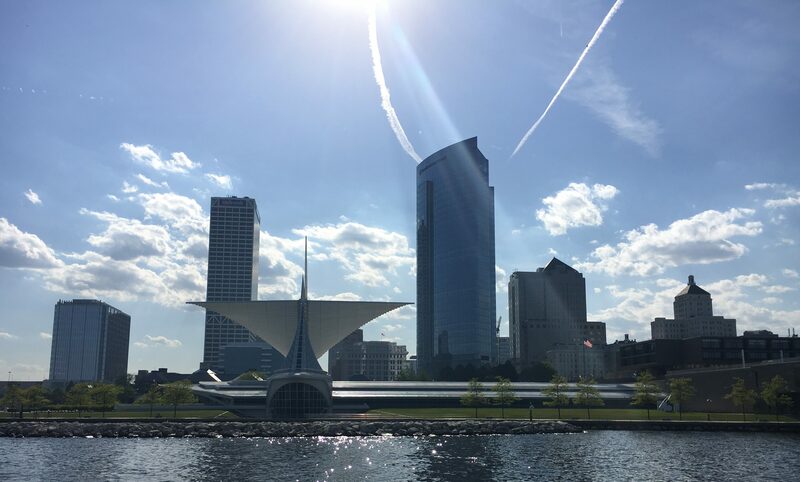 A 90-minute boat tour on the Milwaukee River and Lake Michigan was touristy, but a good way to see the some of the city and the shoreline. 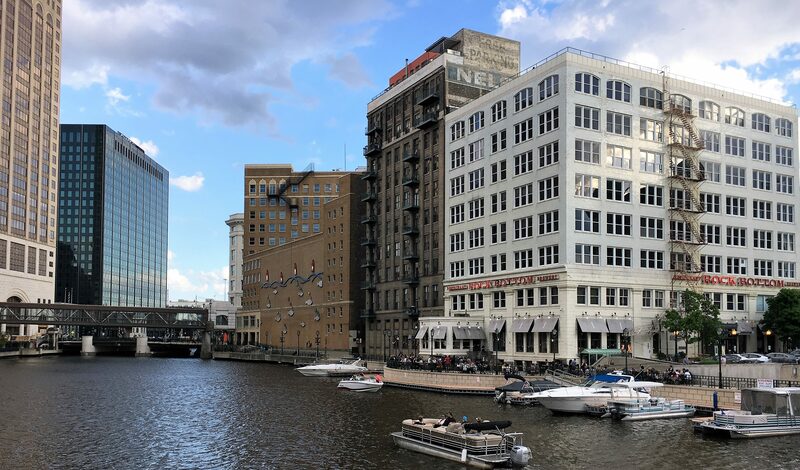 The River is bordered by old industrial buildings which have either been converted or torn down to make way for toney condominiums in a city which is a great place for millennials. A view overlooking the river for a cool $300 million….! The Milwaukee Brewers were in town that weekend and the city was just rocking. 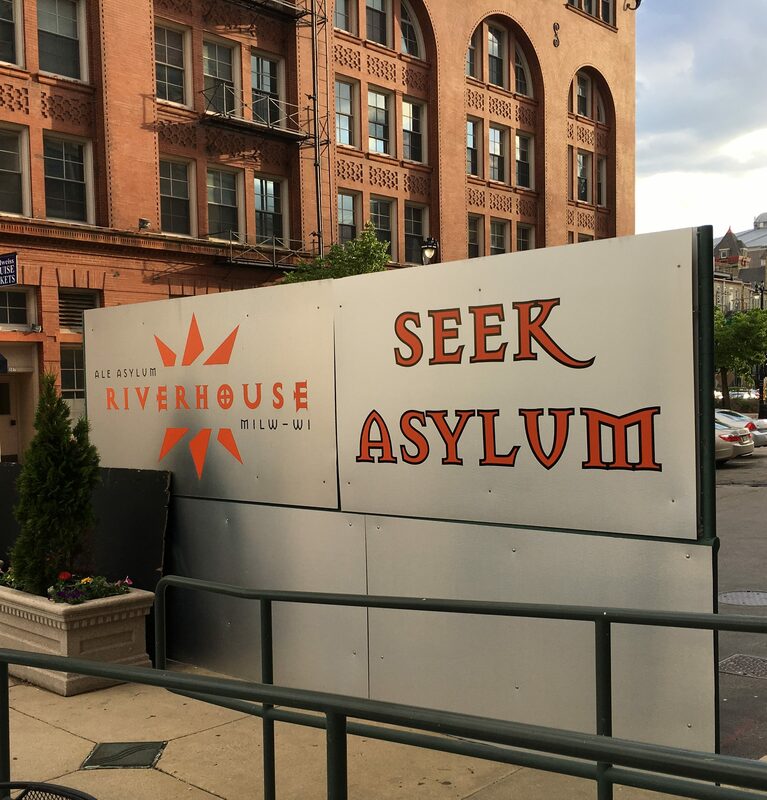 We “Sought Asylum” for dinner with a good view of the river at the Ale Asylum River House, where we each enjoyed a great burger and one of their own beers – the Velveteen Habit-India Pale Ale, (7.5% ABV) and the Demento-Session Pale Ale (4.7% ABV). 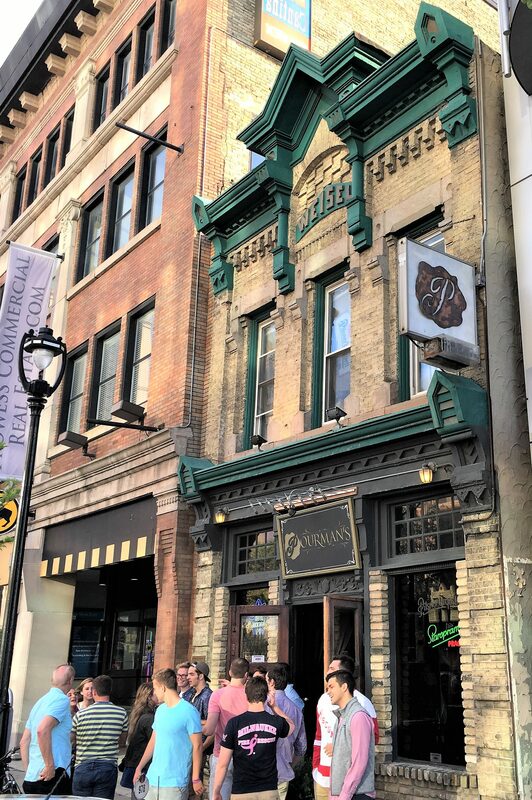 Since we were on foot, we dropped into several nearby bars all on the same block of N. Water Street that were jammed with people enjoying the weekend. 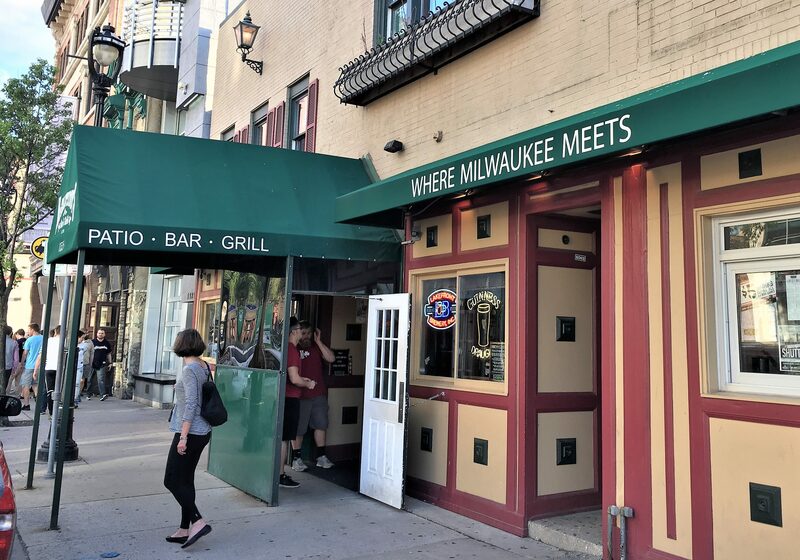 BarNone is a very small bar which advertises, “Slip into the tightest hole in Milwaukee.” According to its website, “It opened for business October 30, 2009. 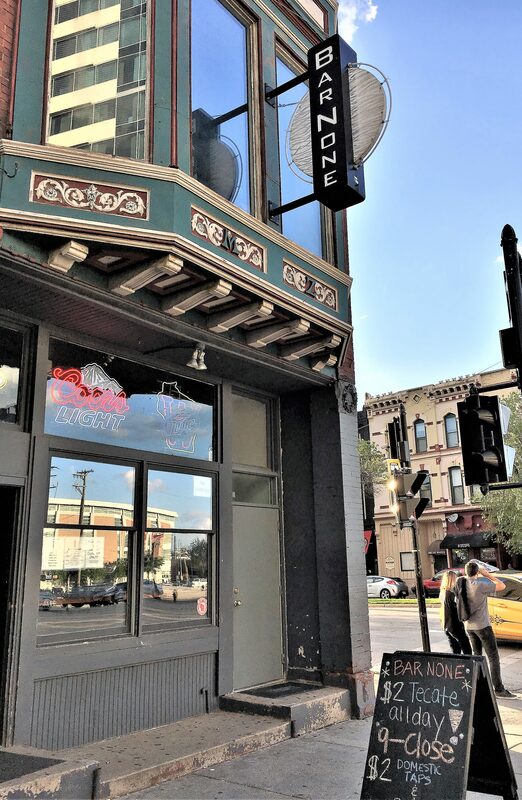 With an entirely remodeled interior and soon to be exterior, BarNone attracts an attractive young college crowd. 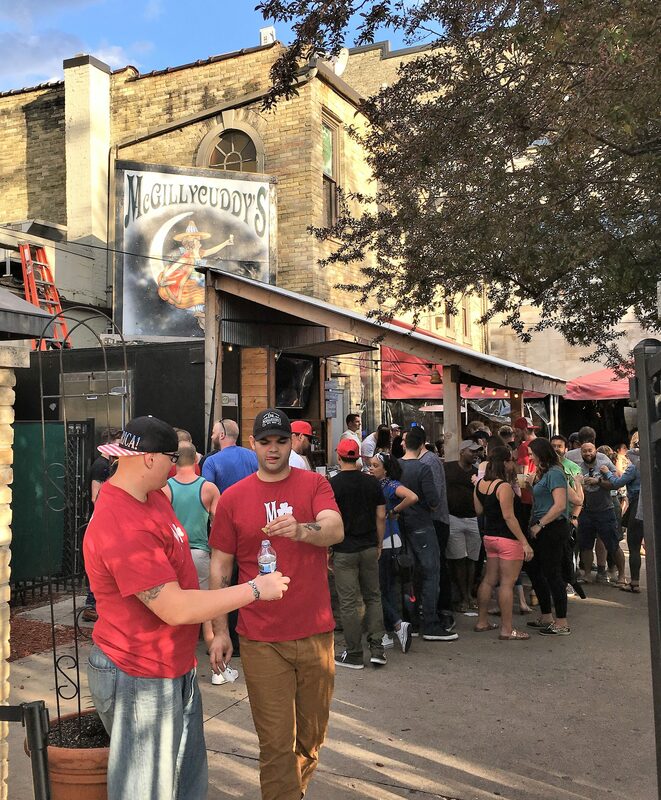 Located on the corner of Water Street and Juneau Avenue, we are close to campus and the beat of everything that is happening nearby.” It was so crowded and with two other options next door, we passed on having a beer. PourMans – Be your own bartender…..
“……..there are four tappers on each of three tables. 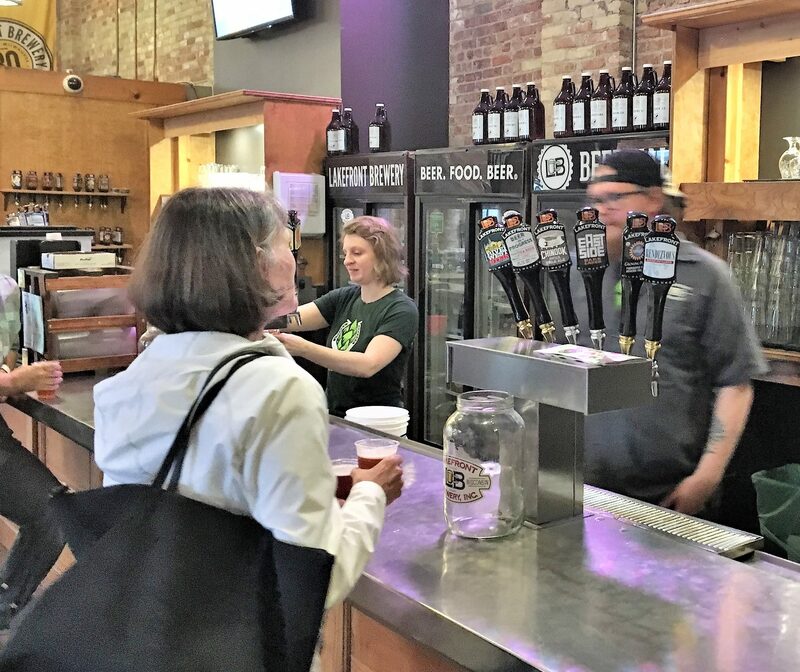 Customers give the bartender an ID in exchange for a glass – one customer per group must provide a credit card – and can tap up to 32 ounces of beer per person right from their table. More impressive than the interior of this bar was the patio or beer garden which was overflowing with suds and Saturday night revelers and had a long line waiting to get in. 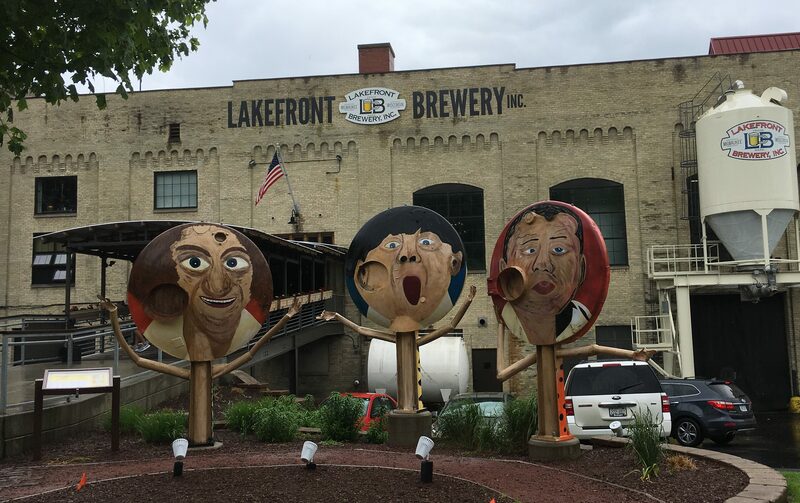 On Sunday morning, we had time for one more brewery tour before the flight and rather than try the big ones such as the historic Pabst or Miller-Coors, we headed to the Lakefront Brewery, which receives great social media reviews on brewery tours. It’s nationally recognized. 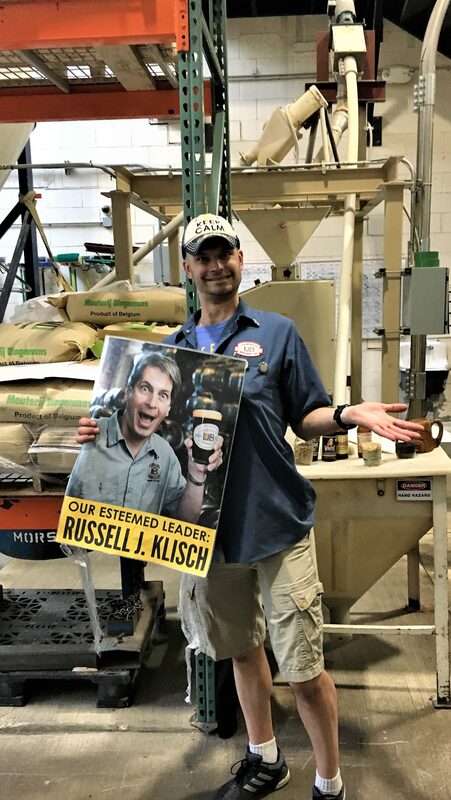 A brewery with history and personality…. 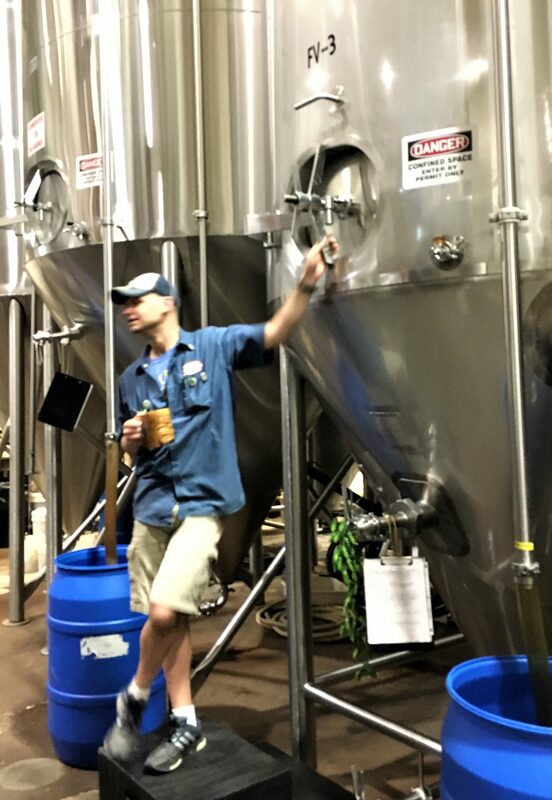 We joined about twenty other people from all over the country who paid their $10 for the tour – it also includes tickets for four six-ounce pours and a Lakefront Brewery glass – the price for the tour is great even without the ancillary items. 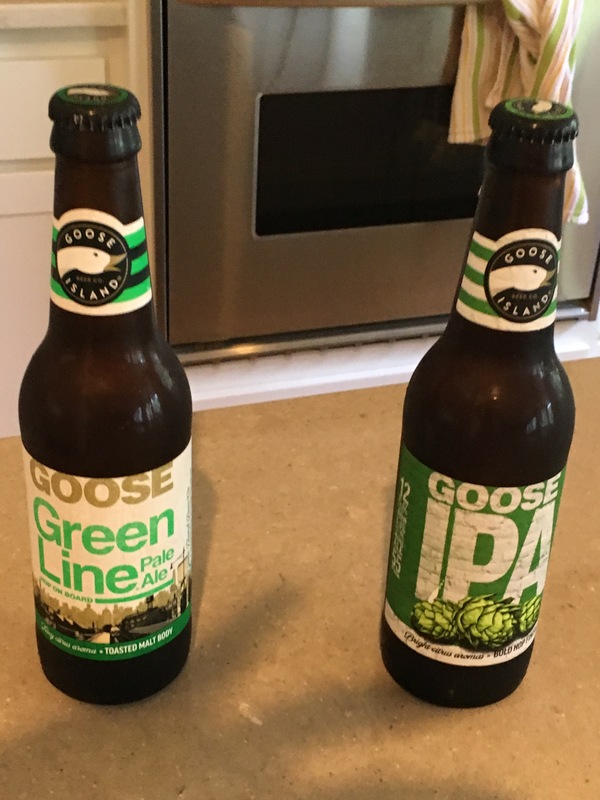 “……..the City of Milwaukee had a building to sell. In 1908, Lakefront Brewery’s current building housed the Milwaukee Electric Railway and Light Company’s coal-fired power plant. 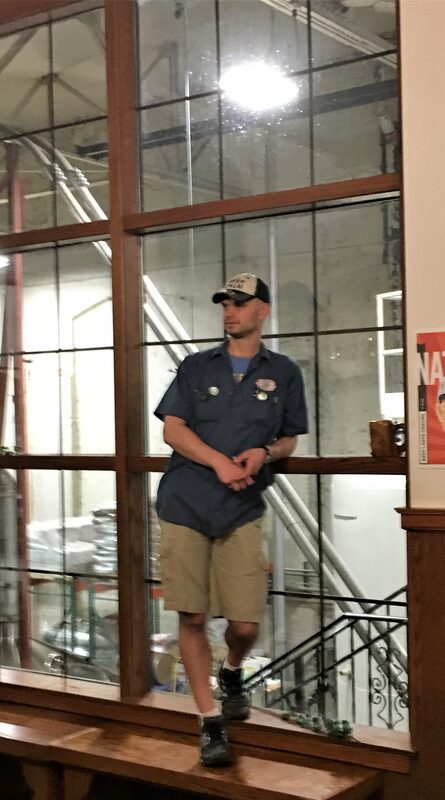 Justin was our tour guide – he could have been a stand-up comic given the humorous one-liners he worked into a nice educational briefing on the history of the brewery and some of its operations. Justin would appreciate the stand-up comic comparison although he would assert that he wouldn’t qualify based on the amount of time he spends in a prone position after drinking free beer. 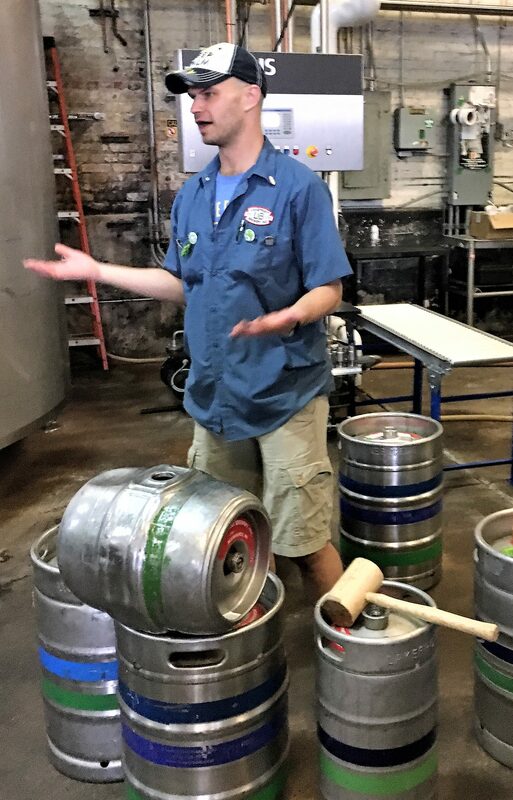 He did a great job covering the history of the brewery and briefly got into the mechanics of making beer and Lakefront’s approach to brewing and being an important member of the community. 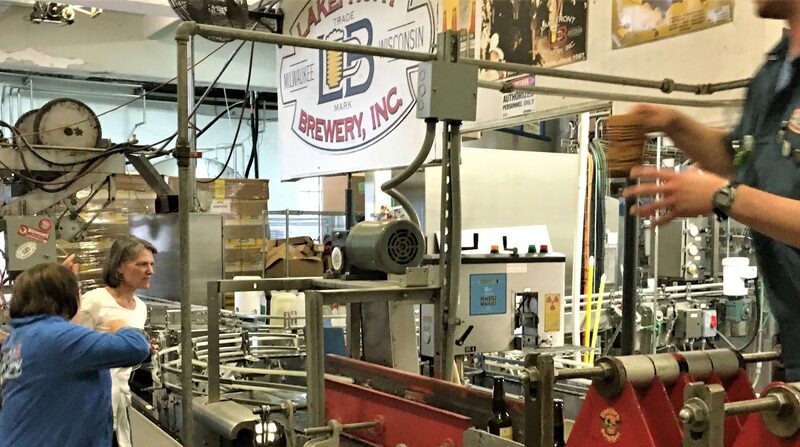 The final part of the tour was viewing the bottling machine, which was an opportunity for Justin to work in a bit about Laverne and Shirley, the situation comedy legends from Happy Days (aired from 1976 to 1983) who lived and worked in Milwaukee. He asked for two volunteers and Janet raised her hand. What followed was an old rendition of the “Happy Days” theme played on Justin’s cassette player while Janet and the other volunteer went through the bottling routine. After the tour we went into the spacious brew-pub and had the beers although I should have known better than to experiment by ordering a tea beer (Don’t remember the name….but I didn’t finish it). 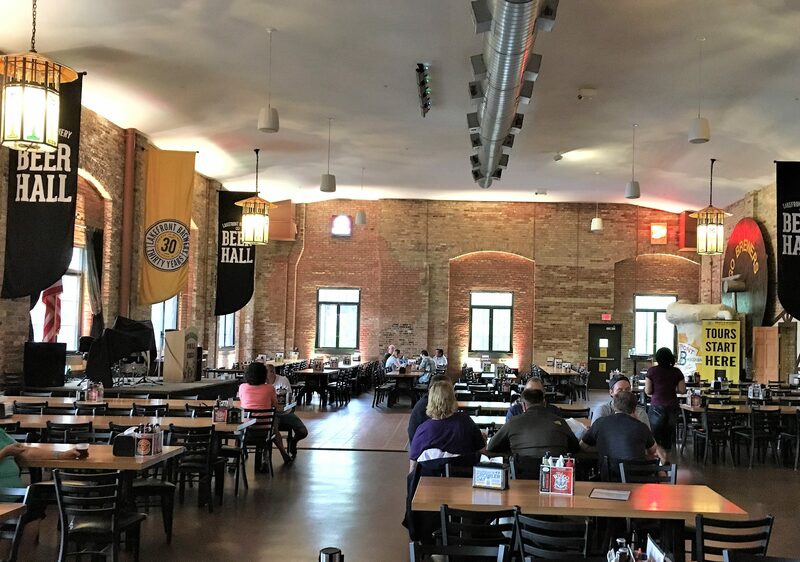 That said, I really enjoyed their Imperial IPA/Red Ale which won an honorable mention at the United States Beer Tasting Championship and Janet loved the Riverwest Stein an excellent American Amber Ale.